Maybe it’s just a coincidence, but I’ve been hearing a lot more electronica influences after Mogwai released “Rave Tapes”. 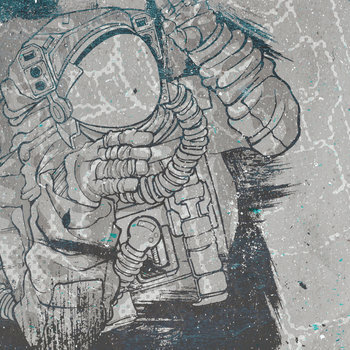 Sleepmakeswaves’ “Love of Cartography” comes first to mind, but there are many others I heard while mucking about in newly submitted singles and albums on bandcamp. Some of them didn’t really make the electronic sounds feel at home with the other instruments, while others just didn’t really use them outside of their quieter passages, which is only using half of its potential, in my opinion. But there are others still who seem to have a firm grasp on what the electronic instruments are capable of, and utilize them effeciently. To Destroy A City is a prime example of these bands. To Destroy A City’s second album in nearly four years, ‘Sunless’ reminds me of older 65daysofstatic music, with its glitchy backgrounds, haunting ambient guitars and drums, both digital and tangible. Also like 65daysofstatic, it never gets me pumped up, it always leaves me feeling serene and calm. Even when it’s thrashing and violent, it never tempts me to press down on the gas when I’m driving. I’ve actually stopped listening to ‘Sunless’ in the car because I end up driving too slowly. It’s just that calming. Once I stopped listening to ‘Sunless’ in my car, and gave it a listen on a proper sound system, I discovered something alarming: The low end is surprisingly bare. The balancing between highs and lows is disturbingly, well, unbalanced. The only way I could tell there was any bass at all was when I had my fingers inside my subwoofer. A major disappointment concerning the production of this album. Even in a trio the bass can maintain a solid presence, and this particular trio failed. Don’t get me wrong, I still enjoy this album immensely when I’m not listening with a critical ear. I find myself humming tunes from ‘Sunless’ and and I nod my head just as enthusiastically during the album, but I can’t take this album too seriously, or I end up disappointed with it. To be honest, I can’t see myself listening to this very often, if at all. It’s missing a crucial part of any piece of music (except pieces like solo violin and the like) and I can’t get over it. I can sometimes ignore it, but I’ll never truly forget about it. But if you find yourself enjoying it, by all means enjoy it. Don’t let my inability to ignore flaws get in the way of your happiness. 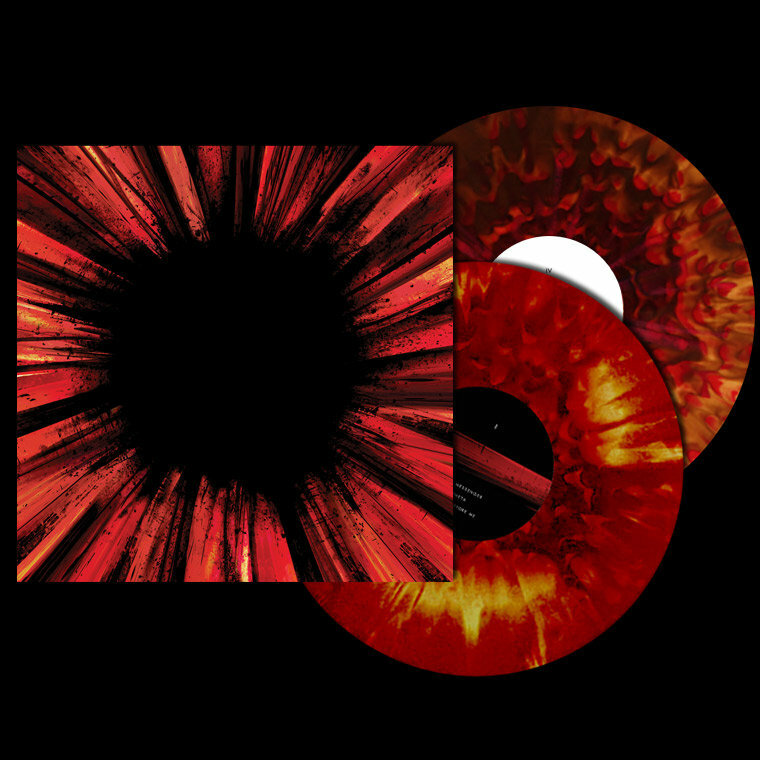 If you buy the physical album, be quick to grab the coloured vinyl. I mean, just look at those discs. This album will be out Tuesday, November 18th via n5MD records. One of the most fascinating parts of listening to postrock (and music in general I suppose) is being able to stand a distance away and watch a group of people come together. They form a band and create a sound. That sound is an expression and when that sound resonates with you, it’s a wonderful feeling that’s hard to describe. And as you watch this group of musicians put out new albums that sound and that expression evolves in unique ways. 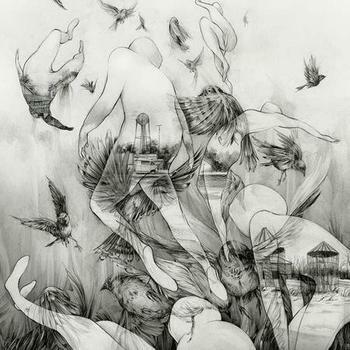 Mono is a band that many see as one of the biggest faces in postrock. While I try to write reviews from as objective as a point as I can, I would be lying if I didn’t start this by saying that the sound and expression Mono has created in the past has always resonated with me. When I first listened through The Last Dawn, I heard the expression I’ve come to appreciate from Mono. They somehow create a sweeping orchestral sound through layers of almost dissonant noise. If you are a fan of Mono, The Last Dawn is what you’d expect from them. The sounds and the arrangements are tighter than what we last heard with For My Parents, but this isn’t a step in either direction for the band. That’s not a criticism because the album is gorgeous. Where We Begin is a standout track that encapsulates Mono’s sound. But then we get to Rays of Darkness, and the game changes a bit. This album felt almost like a big reveal in a movie. When they finally say who the killer was and all you can think is, “I should’ve known the whole time.” The arrangements and the sounds are much darker and much heavier, but they still remain true to the band. Recoil Ignite is a track that might be a bit of a surprise because of its mood, but seems so obvious once you listen to it a few times. The whole album felt almost revelatory. This is the album where we watch as this group of musicians evolve and express in a new but not unfamiliar way. And now it’s time to talk about what many people are going to be scratching their heads over: The Hands That Hold The Truth. This song brings vocals… well if you can call those vocals. It’s by far my least favorite track on the albums, but I’d like to explain why I could understand and appreciate what they tried to do. If you listen to the whole track it builds up to the point of a climax, which we would expect of Mono. They are known for their crescendos, but those always came from guitars. In this song, they switch the formula and bring it with vocals. The vocals are harsh, grating, and startling. This is a darker album for them, and it almost seems inevitable that they would have to switch their tone to be darker for this type of song. Unfortunately, they went to a far extreme, but the reasoning seems solid enough. Overall these two albums welcome you back to the sound of Mono, and at the same time bring you into a new expression of their band. The Last Dawn is a gorgeous example of what this band is capable of producing, and Rays of Darkness shows what we can expect from them in the future. Evolution is inevitable and Mono managed to still be Mono while showing some new and great things. You know that tape label I rave about every time I do a sundry commentary, Keep it Together Records? Well, it’s soon to be no more. Today is the last day you can snag amazing albums like A Garden Overgrown’s “The Lost Art of Conversation”, LITE’s “Installation”, and Saisa’s “Aftermath”, which I wrote about earlier this month. His site is easy to navigate, mobile friendly, and he’s a really cool dude who’s just moving on to different things. My only worry is my future source for japanese mathrock on cassette. Maybe Topshelf will start printing Toe on cassette. Maybe Denovali will press the Té Collection on a triple cassette release. Who knows. Maybe the cassette will finally die… again. It’s really difficult to say a lot about one song that I haven’t already said about their Self-Titled EP. I’m not entirely sure if it’s a single for being a single’s sake, or if it’s a sample of what’s to come. Either way, it has everything I love about YAAE, and I continually look forward to hearing more from them. This British band actually surprised me with their talents as I was muddling through the new releases tagged as ‘post-rock’. You would not believe how much folk music and hip-hop is tagged as post-rock, it’s ridiculous. But these guys not only belong there, they are better than most other post-rock acts there. There’s only two singles and an EP available, but they’re all solid, and they’re all name your own price for digital. Plus you might wanna check them out, since they’re opening for We Came From The North. Aside from having one of the best band names in the history of ever, they really bring the noise in a post-metal sort of way. Excellent single overall, I can’t wait to hear more from this solo project. He’s released a few singles, I think he should really acquire some patience and make an album, get his name out there. Very interesting ambient/acoustic/electronica combination. I like to listen to these when I’m in a funky mood. Check ‘em out if you enjoy unique ambience. 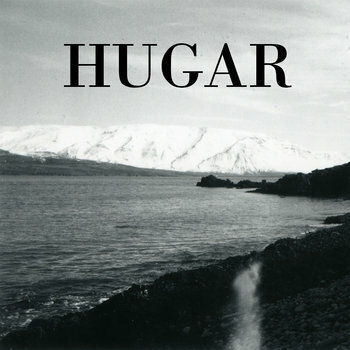 HUGAR. Frikkin Hugar. I don’t have the time to write what I want to say about this album, because that article would be far too long. This is just a tad too aggressive to be considered ambient, but the aggression in this music isn’t the type of music to get your blood pumping… if that makes any sense. The neo-classical tendencies with the strings, piano, and brass really make this album stand out to me. I find myself brooding in a dark corner of the room whenever I listen to this, it’s so thought-provoking. KAZUO was another surprise in my quest through newly tagged albums. It’s melodic ambience was very refreshing, after so many tolkien inspired space drone pieces. (Yeah, apparently that’s a thing.) It’s not a very long album, so don’t worry about spending a whole afternoon listening to it. The intimate field recordings bring a sense of humanity to the table, something I haven’t heard often in this genre. Highly recommended for enjoyment during the quieter moments during the day. 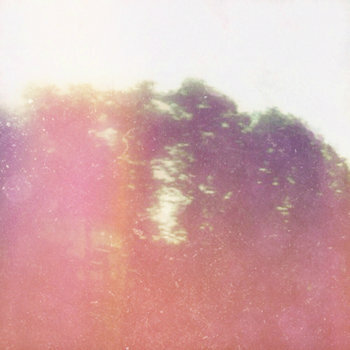 If you do like this EP, check out Lu_Shush’s “In Person” EP. 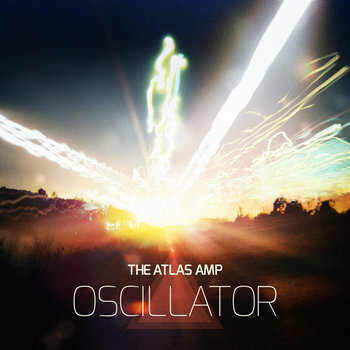 THE ATLAS AMP actually contacted me via Twitter, telling me they liked my Foofer Fridays, and sent me a download code for their ‘Oscillator’ EP. I always listen to the music that bands send directly to me, and for once, I actually liked it. Lots of potential in this band, but not too amateur, either. Very solid EP, though I can’t find enough words to give it an article of its own. Sorry, guys. THE GOOD PACK is to musicians as The Humble Bundle is to gamers. Sounds awesome, right? The Good Pack features 5 bands from the Pacific Northwest that you pick the price for, or free if you choose. Any proceeds go towards Pacific Northwest-based charities aimed at homeless youth. The genre ranges from everything, just as long as they’re from that general area. Not really post-rock, but I think it’s awesome and deserves attention. FOR ASTRONAUTS AND SATELLITES is something unique. I mean, unless you can show me another chiptune post-rock band. Yeah, didn’t think so. It’s definitely chiptune first and foremost, but the composition just screams post-rock. It’s something I’ve been playing a bit more than normal, you should definitely check it out if you’re into downtempo electronica, or chiptune music. If you end up finding something you like, please let me know via twitter @Foofsies. Those sort of messages always give me that warm fuzzy feeling in my stomach. For the past two years, I’ve latched onto Set and Setting’s debut LP ‘Equanimity’ and never let go. To me, it’s the perfect album. It remains at that status in my head, and I’m sure it’ll stay that way for a very long time. It’s cinematic without being overly pretentious, and it’s technical without being inaccessible. It’s beautiful without being too fluffy, and it’s aggressive without being too violent for post-rock. It’s the perfect middle for so many things, it’s almost impossible to list the reasons why I love it. When I saw that Set and Setting were teasing pictures on facebook about their second studio release, I could hardly contain my excitement. I was so excited, in fact, that my love for Set and Setting spread among my family, and it’s widely regarded as one of the best albums ever in my household. Words could not express my pain when I found out I’d be out of town for their one and only stop in my neck of the woods. “A Vivid Memory” was supposed to be perfection part 2, and when I finally downloaded the promotional copies for reviewers, it was like a dream come true. The albums starts out with beautiful synth tones floating atop guitar chords. So pretty. The second guitar came in with its freely flying e-bow tones, and I was thinking of what I loved so much about Equanimity, like they were reminding me of who they were. Inevitably, they went into their blast beats and blazing guitars. The room was shaking and the air was pulsing with its sounds, and I knew that this was going to be something I would never forget. 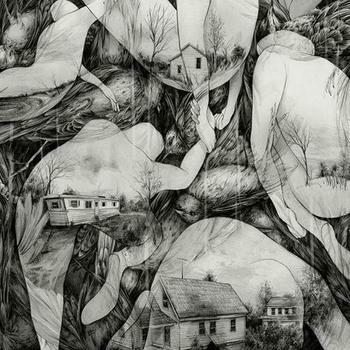 As the pieces progressed from one to the next, I began to think things like ‘This isn’t as calm as before’ and ‘What happened to the theatrics, and field recordings?’ I realized the album had practically switched genres from post-rock to post-metal. It was heavier, it was far more aggressive, and a minor tonality had overcome their sound with undeniable intensity. It’d lost half of what made me fall in love with them in the first place. I figured that they felt a need to be louder, to compensate for the lack of orchestral music. They had retained their dramatic tendencies without the miniature orchestra in their 2012 Tour EP, but every band needs to make their own progressions, I guess. When ‘Emptiness’ had started, my guesses were confirmed and my questions were answered. Is this going to be perfection part 2? Will I be able to enjoy this for as long as I’ve enjoyed their other works? Is my excitement validated? “A Vivid Memory” simply couldn’t be as good as “Equanimity” and it most certainly couldn’t be better. I was left with the conclusion that this album is worse. The acoustic chord progression sounds almost identical to the acoustic parts of “Equanimity”, and it was in the same key as all of the previous songs in “A Vivid Memory”. Two very big mistakes occurring simultaneously. To say that the album continues in a similar manner for the remainder of the album would be an understatement. In continues in EXACTLY the same manner. The exact same key. Even Doom metal doesn’t drag on like this heap of disappointment does. And I actually like a fair bit of Doom. This is just… sad. When I wrote my review for Echoes and Dust, you could say I was a bit overwhelmed at how conflicted I was. At times I found myself stewing over the flaws, and getting frustrated about every little thing they did. Other times I felt I was enjoying it out of desperation; I’d tire of listening to Equanimity five times in a row, and would look for something else. I just listened to A Vivid Memory because was Set and Setting music that wasn’t Equanimity. Let me tell you, it’s the worst way to enjoy an album. It’s not even like going back to the fridge a hundred times over, and coming out with no more food than when you started. It’s like coming back with food you said you’d throw out the day before. This may a bit harsh, but I can’t help but feel upset when I listen to this ‘Best of Equanimity’ trash, like they took a third of what I liked about Equanimity, and fluffed it up into a full album. And what’s worse is the attention it’s getting. It’s as if no one notices that it’s all in the same key for the whole album. Even conceptual albums that flow from beginning to end have more variation than this. While I appreciate the brevity of their response, I can’t help but feel that this response is also what’s wrong with this album. You can’t just blare away and expect it to be a good album. You might have a popular album on your hands, but by no means will it be a work of art. And that’s just what happened here. Lucky, indeed. I mentally debated with myself over this question. I’m fairly sure they had written much of it before they made the official switch to Prosthetic Records, but that may have had a hand in it. Even if it did, it wouldn’t be that monumental an influence. There weren’t any lineup changes, so that’s out. Maybe the band only saw feedback about the heavier parts of the album, but even then the band should stick to what they want to make. Otherwise, it’s lost the status of being a piece of art, and becomes an attempt to become rich. When a band goes back on what they started out for in the first place, they will lose part of what made them what they are. Like selling out to yourself. After the dust had settled in my head, I agreed that Set and Setting is just a band that got lucky. I won’t be holding my hopes as high as before, if at all. My brother still plays his copy of ‘Equanimity’ on vinyl every once in a while, and I can’t help but poke my head into the room for a bit, and listen to it. It’s a very bittersweet feeling, but the sweet sounds of ‘Equanimity’ make the memories of ‘A Vivid Memory’ a little less vivid. 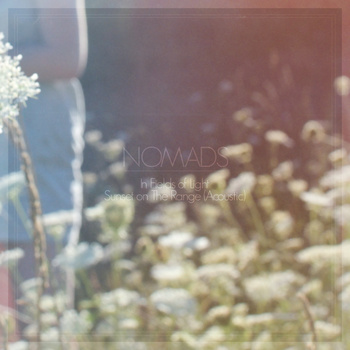 NOMADS has been one of those strong bands in my library that I never got around to fully appreciating. I’d listen to it every now and then, but I never really sat down with it and soaked it all in. The big change in sound from their self-titled debut and their following singles to this EP stopped me in my tracks. Apparently there’d been a theft, someone got away with thousands of dollars worth of equipment. To my knowledge, NOMADS didn’t spam their Facebook with kickstarters or indiegogo campaigns, a fact that speaks volumes about their character. I think too many bands rely on their fans too much for help recoup their losses. Your fans are just that – Fans. They are not investors, they not anything so official. They are people who like your music, and can stop liking their music whenever they damn well please. But these guys don’t whine. They just continue making beautiful music. In the description of this EP it says this music is not only a giant middle finger to the thieves, it’s a monument to ‘The show must go on’. In my eyes, that makes this band so much better than any other band I’ve liked on Facebook. Due to the new-found limitations with their equipment, the music’s changed drastically, because they’re just working with what they’ve got. But don’t let that deter you from listening to this, it still shines brightly in this year’s list of releases. ‘In Fields of Light’ consists of a keyboard, a guitar, and a guest on the trumpet. No drums, no bass, it’s a very airy sort of ambience, and it’s gorgeous. Even apple fans with their cheap earbuds can fully enjoy this track, so everybody wins. ‘Sunset on the Range’ is an acoustic rendition of a song by the same name, to be released with their upcoming album ‘When Those Around Us Leave’ and I must say that I’m very excited for this album, if the music is going to be this captivating. But then again, I’m biased. I’m a sucker for acoustic guitars in post-rock, so take that with a grain of salt, but the melody stuck with me for the rest of the day after I first heard this. I would highly recommend supporting this band, even if only for the sake of charity. I will be supporting it when I can, in hopes of seeing the new album released a little sooner. SAISA has been another band I’ve been meaning to get around to, and this Foofer Twofer’s given me an opportunity I can’t pass up. It’s even along the ambient strain of NOMADS, with its distant vocals and piano-driven ambience, it’s too perfect a pairing to ignore. 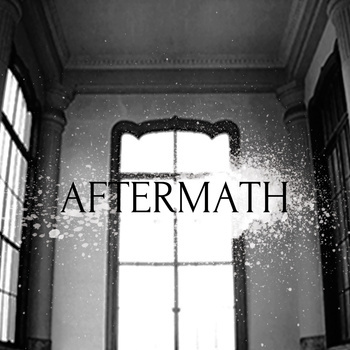 ‘Aftermath’ is practically a dirge, with its mournful vocals, and drawn out melodies. The strings and piano bring images of funerals to mind (which is probably the point). As I pointed out with NOMADS, the lack of bass makes it a very airy, ambient sound, which is perfect for the forlorn timbre. When the crescendo begins, the bass is introduced in such a way as to not decrease from its ambience. It’s a very impressive feat, if you pay attention. ‘Agitator’ continues in the same tonality, with the addition of a distorted guitar, following the piano like a ghost. Overall, this piece sounds like Aftermath pt. II, but it’s so pretty I don’t even care. The attention to detail given to the crescendo is astounding, it’s not too fast, it’s not too slow, and it doesn’t get too loud, nor is it anticlimactic. Practically perfect in every way. ‘Heart Tree’ should be called ‘Aftermath (Reprise)’, it sound remarkably similar, with its vocals. Their English is impressively clear, which is something I’ve never really heard in a Japanese band before, outside of the occasional word or phrase. The way it reflects ‘Aftermath’ gives the EP a strong sense of closure, like the loop has finished, and the concept behind this album has been fully fleshed out before you. In my own weird opinion, this makes it perfect for listening to over and over, because it loops in on itself, becoming flush with its beginning. It’s pretty easy to get lost in it, too, since it’s only 18 minutes long. The tape perfectly represents that thought, with the whole album on both sides. This can be purchased on digital directly from the band’s bandcamp page, and the tape can be bought through Keep It Together Records. (I did, and I’m in love with it. I would also recommend LITE, Low-Pass, and A Garden Overgrown). 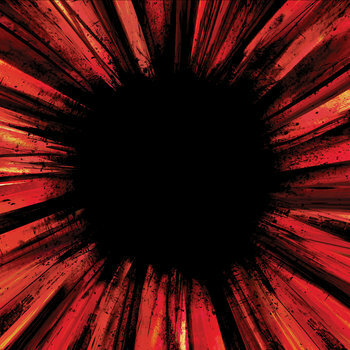 Last Builders of Empire’s sophomore album “Post War” begins like most other post-rock albums; a song of complete fluff. Every instrument dances lazily around each other, like an improv dance number. The rhythm is very loose, and the timing almost seems a bit off, but the coherence begins in the second track, ‘Quiet like a knife’. 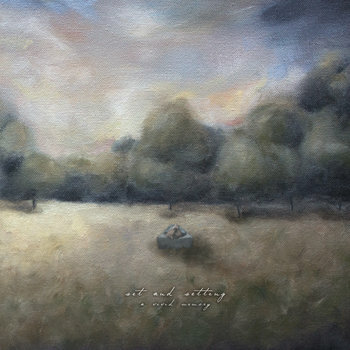 ‘Quiet like a knife’ is true, purebred post-rock. The guitars are creating dense soundscapes while the bass creates the melody and carries the tune throughout. The overall feel of the track reminds me of This Will Destroy You’s earlier work, though not as melodic. 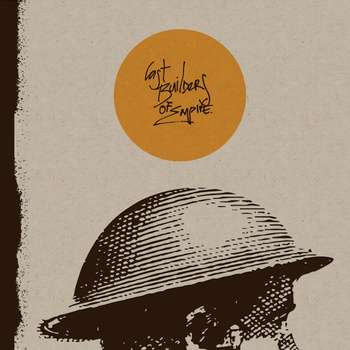 Unlike most post-rock bands thier on/off switch when it comes to ambience and walls of sounds, Last Builders of Empire smoothly trasition between the two, which makes for a much more enjoyable listening experience. Speaking of smooth transitions, I didn’t even notice the album had moved on to ‘This Tired Wasteland’ my first time listening. The way the whole album flows from one idea to the next is a good way to sew an album together, but the lack of key change instills a feeling of being too repitious. What does change, is what the music reminds me of. It’s change from early This Will Destroy You to something like Mono. Tremolo guitars atop thrashing backing guitars is so beautifully violent, but I can’t hear Last Builders of Empire when I’m thinking Mono. As soon as that thought came to mind, they switched to yet another founding father of Post-rock, Explosions In The Sky. ‘Pyre (Where There’s Nothing Else Left)’ is a gorgeous ballad of a song, but the problem still remains; I don’t hear Last Builders of Empire, I hear Explosions in the Sky. It’s a tragedy when a band can’t sound like themselves for the beginning half of their album. Yes, they play each style with a very apparent skill and talent, but it’s not theirs. Things do get better as the album goes on, but how many people are going to actually stick around after a song of fluff and three different copies of three different bands? 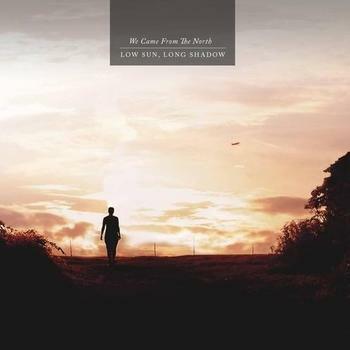 I know I had a hard time getting into this album after three pieces of post-rock impressions. There is something to be said of the other half of the album, however. They’re still a very competent band, and their sound does have a certain exotic flair to it; the very fact that they play in 3/4 time sets them apart from 90% of other post-rock bands. Maybe the genre has just become so stereotyped that it’s getting harder and harder to avoid certain sounds, but the fact remains that you don’t hear this band until you’re already halfway into the album. To me, this screams a lack of ambition or creativity. That’s not something I want to listen to. Do you?